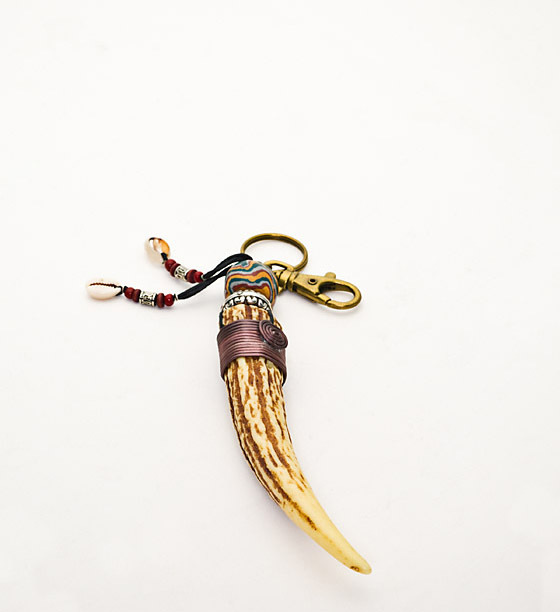 This keychain features an imitation Formosan sambar deer antler and traditional style bead of the Rukai tribe. As each keychain is handmade, allow for some variation in the length of the imitation antler and the size and pattern of the bead. The Formosan sambar deer (Cervus unicolor swinhoei) is the largest native herbivore in Taiwan with males reaching a height of up to 1.2 meters. It is usually found in forests at elevations of 300 to 1500 meters where it forages for leaves and tender grass. 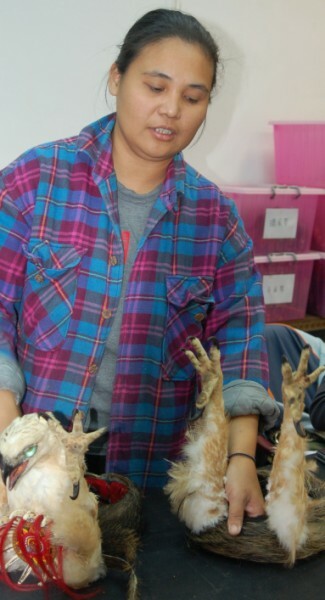 This was a traditional game animal for Taiwan’s indigenous tribes.